This is a small update on the current development of the Deviota Field service. For the past few weeks we have been working on a few “premium” features that have been enabled on the public load balancer. What is the load balancer? 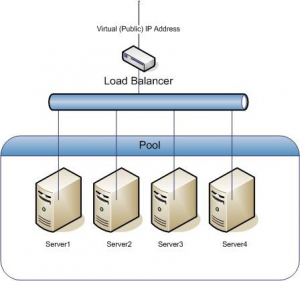 The load balancer is simply a server that distributes the requests to several servers from a pool. When you connect your wallet to the load balancer located at (outdated URL) your request is forwarded to the pool nodes. This way, the load is evenly distributed across the participating nodes and effectively protects them against DDoS attacks. Each request is forwarded to several nodes. All the responses are compared and checked before returned to the user. This way the user can be sure that she is not connected to an evil or eclipsed node that returns erroneous information. The fastest nodes get higher score and the user a faster, secure response. Recently, we have added automatic promotion and reattachment for all value (non-zero) transactions. All the transactions send for storage are “remembered” and periodically checked (every 2–4 minutes) for up to 24 hours after creation. If a transaction is promotable it gets promoted 3–10 times. Otherwise it is reattached. Once it is confirmed (or one of the re-attachments), it is removed from the queue. All the proof-of-work is done by the participating Field nodes. It is a definitive value-added for the users. No more manual reattachments. Send and forget. The Field Nodes do the rest. In the first 48 hours after enabling the stats, over 5 million USD worth of IOTA have been sent through the Field. The Field is fast, secure, reliable and makes the tangle easier to use. For this reason, within less than a month, it is becoming one of the largest services for the light wallets. Thanks to the participating Nodes! We are working on several improvements for the load balancer to make it even smarter. We also need to cleanup the code and make it modular. Afterwards, the field server will be open sourced. Soon! Recently, we decides to package and open-source another set of tools and libraries as a separate project for the community. It might be nothing or a huge something. 😉 The idea is to show what is possible with the tangle with just a little imagination. More on that… soon! Each new milestone brings us closer to the final product. We decided to go the “hard way” and package each step of our progress as open source tools and services for the community. This way, even if we never reached the final destination, the community can profit from our work right away. The overhead slows us down, but it’s worth it! I still cannot predict the final date as it depends on how many other tools we are able to extract as separate projects for the benefit of everyone. But we are getting there. Soon! Many thanks to the people that are working their asses off to make it happen. And a huge thanks to the community for their trust and support.